There are very few seat products in comparison to bean bags as far as comfort and conveniences are concerned. As compared to hefty chairs these Teardrop Beanbag are lighter and could be carried from one place of your apartment to another even by a child. These stylish and comfortable bags lend a cozy ambiance to your living room. These come in different shapes of which teardrop bean bag is most trendy. For creating a casual setting with your furniture, there nothing more idyllic than a tear drop bag. Apart from being comfortable and light, these bags are easy to clean and maintain. 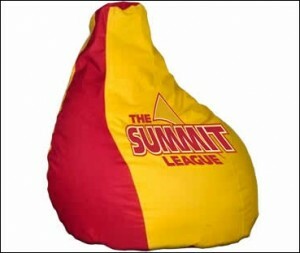 Standard bean bags are filled with polyurethane beads and covered with leather, flannel or fabric. Instead of polystyrene beads foam fills might also be used. Polystyrene beads are the most commonly used fillings for these seats because they're recyclable and easier to care for. These beads perfectly match the contours of your body this seat offers complete relaxation. The only disadvantage of these beads is their low life and regular refilling. To avoid this inconvenience of regular refilling, foam might be used. Foam in shredded form is used as a filling, and is usually softer as compared to bead varieties. The advantages of using foam as a filling are its ability to withstand greater weight and ‘zero’ maintenance. These two factors have contributed to foam becoming the most widely used filling for teardrop bean bag. Foam makes your bean seat firmer which is particularly beneficial for elderly people. In case you are overweight, your foam filled seat would offer you great comfort. Compared to bead varieties these are costlier as they do not need refilling and offer a firmer seat. The exterior of a tear drop bag could be made of fabric, vinyl, denim, and leather. It is always better to opt for an exterior that is washable and durable. Commonly fabric and leather are used, the former for its affordability and the latter for its durability. Vinyl is an intermediary product that is comparable to leather for is durability and to fabric for its affordability. For all practical purposes you should opt for an exterior which is washable. Exterior in most cases are fast drying so that your seat becomes usable fast after every wash.
Children are restless and curious by nature and hence, are most likely to cause damages to your favorite seats. If you have children in your home, especially of the naughty type, you should settle for a leather seat, as it is washable and dry fast. Though these seats have more of a casual feel and appearance, a more elegant and sophisticated variety with suede exterior might be bought. Color is also an important aspect in deciding about your favorite seat. While buying your furniture, check all seams and stitches. If there are zippers, check them thoroughly as inferior quality could make them useless in short time. Always make certain about the filling and the exterior material. You must also check the warranty of your tear drop bag and refilling charges if it is of the beaded kind.